Stellate 4 brings together the visions of L.B. Dub Corp, Dscrd, Sendai and James Ruskin. The tracks stem from the most disparate sources and are products of incomparable processes, yet, all four outfits have created music brimming with questions about spatial relationships. The eight tracks emerge as part-soundscapes, part-structures with which to explore our darkest selves and our deepest questioning. 01. 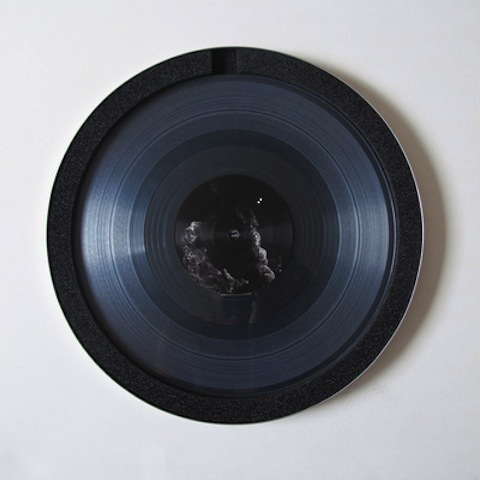 The Stellate Series is boxed exquisitely in circular metallic tins which contains two transparent 10″ vinyls. 02. Each vinyl is separated by a typographic print on recycled paper. 03. 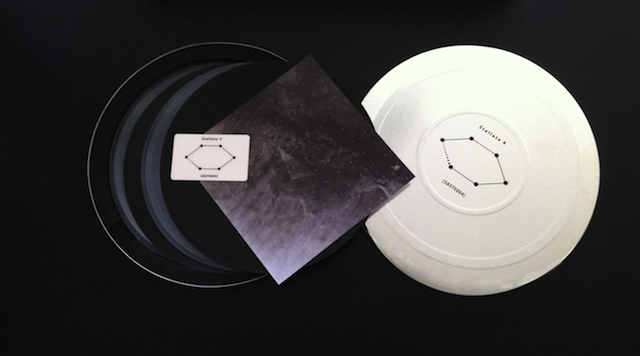 The Stellate releases also contain a hand-numbered artwork inlay by Oblivious Artefacts. 04. The entire artwork inlay is comprised of four parts which are divided between Stellate 1 to Stellate 4. 05. Additionally every release contains a card with a unique download code. 06. 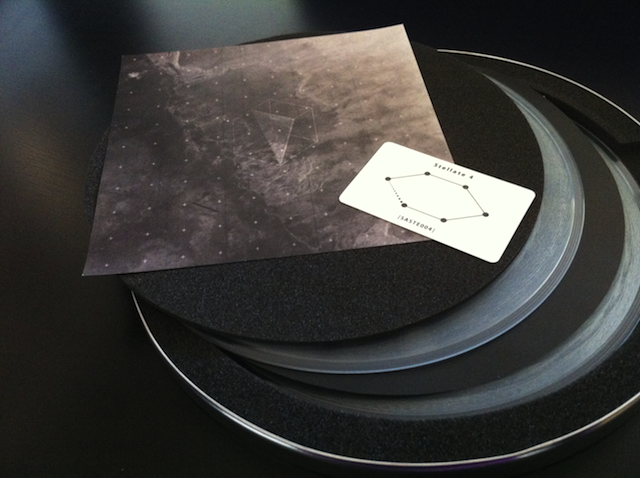 Each Stellate release is a strictly limited edition of 300. 07. 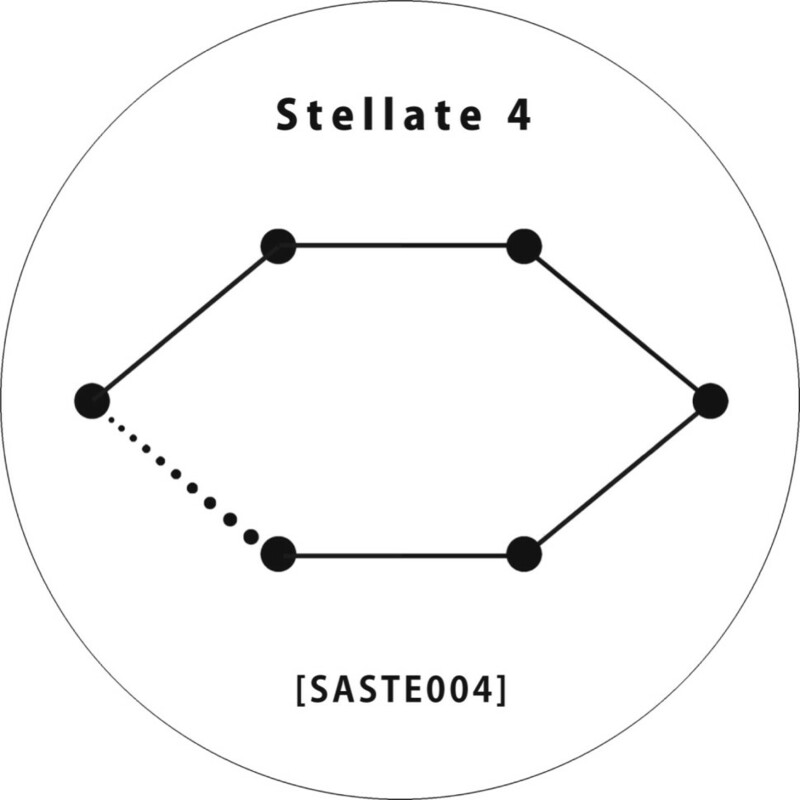 The entire Stellate Series was craftily mastered in Berlin at the Artefacts Mastering Studio. 08. The Stellate Series was graphically designed by Oblivious Artefacts [Ignazio Mortellaro and Marco Morici]. The Wire Magazine Really loving these - especially (on first listen) the Dscrd and Sendai. Look forward to exploring this release further. Chris Power (BBC Music – The Guardian) Excellent tracks from L.B. Dub Corp and Dscrd. The Sendai tracks sound intriguing, looking forward to listening to them more closely. Resident Advisor Brilliant. Great release once again. Really feeling the whole series. The L.B. Dub Corp and James Ruskin parts are my favourite, but all four acts are on top form here. Review to follow. Juno Plus Lovely. Really interesting set of tracks and artists. All complimenting each other. Little White Earbuds Thanks, will make available to LWE staff for potential review. The Quietus Fantastic, been looking forward to this. It's been a great series of music. Trebuchet Magazine As ever, a very interesting selection of artists with some thought-provoking sounds. Slashdotdash More beautiful music from the Stellate Series. This project never fails. Ruskin's ‘Cast Down’ is stunning. Nowamuzyka Highest quality experiment as always. Very creepy stuff, love it.